The OECD Review of Telecommunication Policy and Regulation in Mexico, released in 2012, provided a comprehensive examination of the sector at the time, highlighting potential areas for regulatory and policy reform. Since then, the Mexican telecommunication sector has experienced substantial progress both from a legal and regulatory perspective, but also with respect to current market dynamics. 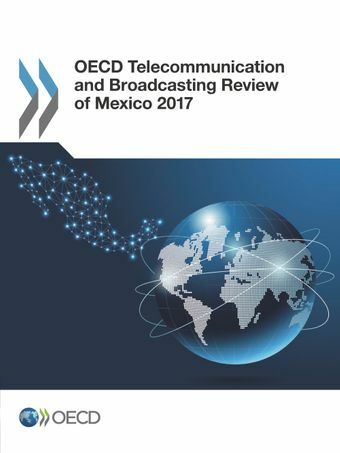 The changes derive, to an important extent, from the reform that has taken place in Mexico since 2013, which closely reflect the 2012 OECD recommendations.This report assesses subsequent market developments in the telecommunication and broadcasting sectors in Mexico, evaluates the implementation of the 2012 OECD recommendations, and puts forward a number of recommendations for the future. It records the remarkable progress made in implementing policy and regulatory changes and identifies areas where more can be done to continue the momentum that has brought tangible benefits to the people of Mexico. Four years after Mexico overhauled its telecommunication and broadcasting sectors with a major legal and regulatory reform, a new OECD Review assesses the impact on communication markets, businesses and households. It recommends further measures for the telecommunication and broadcasting sectors to build on this progress and ensure Mexico reaps maximum benefits from the digital transformation. Gabriela Ramos, the OECD Chief of Staff, G20 Sherpa and Special Advisor to the Secretary-General, presented the OECD Telecommunication and Broadcasting Review of México 2017 along with Andrew Wyckoff, Director of Science, Technology and Innovation, OECD, Communications and Transport Minister Gerardo Ruiz Esparza and Federal Telecommunications Institute President Commissioner Gabriel Oswaldo Contreras Saldívar on 31 August 2017 at the Hyatt Regency Hotel in Mexico City. The 2017 Review follows the OECD’s 2012 Review of Telecommunication Policy and Regulation in Mexico, whose recommendations contributed to the country’s 2013 reform.